You are at:Home»Articles & Reviews»Everything Else»NAB Survival: Is It The Shoes? This will be my 21st NAB. I’ve done the show either as an attendee, as an exhibitor or as registered press every year since 1996. That’s nothing to brag about, though. Last year I sat at a table during a press luncheon where everyone stated how many NAB shows they’ve done. My own count, which was 20, was the second-most junior out of eight of us at the table. One person was on her sixth year, and everyone else had well over 30 shows each. Granted, it was a bit of an exceptional situation, as press luncheons can often be. A lot of folks that attend those things tend to be career professionals who have been going to NAB since it was held in Dallas (indeed, that was a long time ago). My point with this, I guess, is to state that even though I’ve got twenty shows under the belt, I’m not by any means a person who “has seen and done it all.” I’m always learning, always. One thing I have learned from walking the NAB show over the years is that foot comfort is important! Yes, it’s the shoes. NAB is all about the shoes. Every single “NAB Survival Guide” out there that’s worth its salt implores you to wear comfortable shoes. You’ll see this mentioned a lot, and that’s because it’s the single best piece of advice you can find about NAB. What it means is that you will be spending a lot of time on your feet. You have to consider that the Las Vegas Convention Center (LVCC) is the largest single-level convention center in the world, with two million square feet of exhibit space (that’s 185,800 square meters for those of you outside the U.S., and more than 45 acres to farm and ranch types like me). And part of it isn’t just single-level. And it’s still growing. Consider also that not only is the LVCC freakin’ huge — and fully occupied — but you’ll have to commute to it back and forth each day as well. So, yes, it’s a lot of time on your feet. 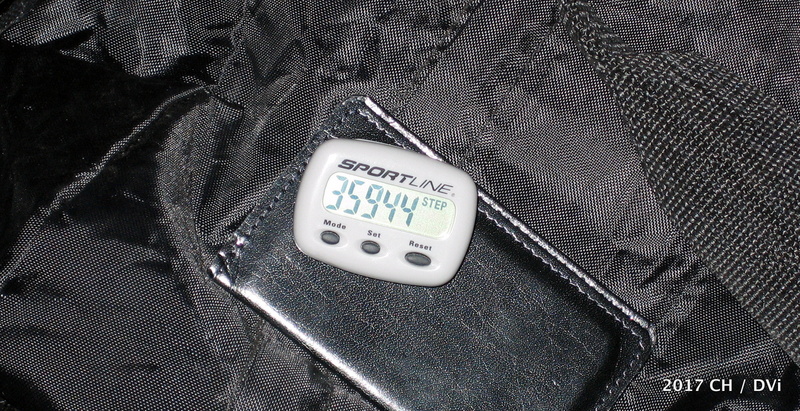 Back in 2005, before there was an app for that, I wore a pedometer during NAB week (Sun. to Thu.) and walked appx. 17 miles, or almost 3.5 miles (5.5 kilometers) per day. To some people, that’s nothing. I found it to be a workout. For me, the daily NAB commute involves a fifteen-minute hike, from a hotel that’s just a short, walkable distance to the show floor (harder to find now that the nearby Riviera is gone; razed last year, ironically, due to LVCC expansion). Other folks choose to stay at the large casino hotels on Las Vegas Blvd. and ride the shuttle buses provided by NAB (free, but slow due to traffic), or hop on the monorail (faster, for less than the cost of a taxi). However, you have to take into account the not-insignificant journey by foot between your hotel room and the monorail station or the bus pick-up area… the often lengthy waits in long lines for the shuttle buses… the slow, crowded exodus from the LVCC to the monorail across a bigger-than-it-looks parking lot at the end of a tiring second or third day spent pounding the show floor. One word of warning here. You can step outside the LVCC, look to the southwest, and see the major hotel casinos on the Strip, as plain as day. “Oh, look! Mandalay Bay is right over there! Let’s just walk.” My friends, that would be a mistake of immense proportions. Those buildings are very, very big, and they are ever so much farther away than they appear. Plus, you can’t just walk part of the way and then decide to hail a cab. Las Vegas city safety ordinances prohibit taxi drivers from picking up fares on the side of the street. So, don’t let the optical illusion fool you into thinking you can just walk from the south end of the Strip to the LVCC. You could certainly do it — eventually — but you’d ruin yourself for the next day for sure. Unless you’re young, healthy, and incredibly fit, in which case I don’t know you. That whole thing is the Las Vegas Convention Center (LVCC). It’s much farther away — and bigger — than it looks. So I’ve talked a lot about the daily NAB commute, but what about the shoes? Everyone urges you to bring your most comfortable pair. My advice: bring two pairs. Whatever you have that’s the most comfortable, wear those during the day while you’re getting to, from and around the NAB show floor. Have your next-most comfortable pair with you to wear in the evening. I’ve been on the two-pair plan for many years, having learned it as an exhibitor, and switching shoes before going out for the night’s dinner and social activities makes a big difference. There’s a popular cliché about executive types doing NAB in suits and ties and formal business wear with athletic sneakers on their feet. It’s quite true, and they’re smart to do that. You should, too. Ladies, leave your heels at home… gents, forget the Oxford shoes. At a four-day endurance match with the pedestrian brutality that constitutes NAB, the key word is comfort. If by chance you don’t already own a pair of shoes that you consider to be ultra-comfortable, then I have some suggestions to offer which have worked out very well for me. NAB footwear on a friend of mine. Can you guess which company he works for? Up until last year, my best pair of shoes were something of a secret in the trade show world because they came from a completely different target market. At home, my wife and I are equestrian types. We really enjoy horseback riding. You might think that since I live in Texas, I must wear cowboy boots all the time, or at least when riding horses. This is not true, however. I’ve got a favorite pair of ropers, but they’re purely for social occasions and I’d never dream of walking a trade show in them. Instead, like many other horse people, I prefer Ariat Terrains, which are best described as hiking boots although they’re specifically designed for endurance riding in the horse world. 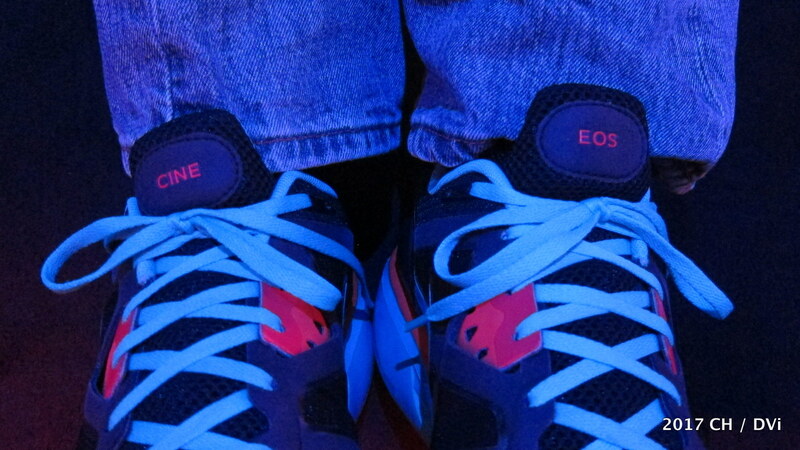 They’re also the most comfortable shoes I’ve ever worn, and they were my go-to pair for NAB. Back when I worked the show as an exhibitor, I snagged a rare pair of black Terrains, the color required by my contractor. I’d wear them only for trade shows, and they lasted for a very long time. These days Ariat Terrains are no longer offered in black for men, but women have the option of a very stylish black Terrain that zips up. I never thought I’d be jealous of women’s footwear, but there it is. The women’s Ariat Terrain Zip, in black. For men, there’s a waterproof Ariat Terrain H2O lace-up version in brown. After several years spent walking NAB and numerous other trade shows in my black Terrains, they finally wore out and lost their high comfort level. I replaced them with a similar Ariat endurance shoe, the waterproof Telluride, which I was fortunate enough to find in black. The Telluride was just as comfortable as the Terrain and I wore that pair for a very long time as well, saving them to use only at NAB and other trade shows. They were my road warrior shoes, not worn for any other purpose. By the time I wanted to buy another pair, though, Ariat had discontinued the Telluride, at least in their USA market. And the one pair that I owned was beginning to show some wear and tear over the past decade despite my best efforts to conserve them. This beat-up pair of Ariat Tellurides served my feet admirably on NAB trade show duty for many, many years. They were awesome… and frustratingly irreplaceable. Now they’re retired. Early last year I worked as an exhibitor at another Las Vegas convention which was not NAB. Favorite footwear is often a common topic of discussion among trade show exhibitors, and my good friend and fellow co-worker Gregg Ellman turned me on to something that I guess I’m the last person to find out about… Skechers. Honestly I had never paid much attention to Skechers shoes before, because I always had my Tellurides. But they finally needed to be replaced. So, taking Gregg’s advance after returning home from that show, I went to our local Skechers store in San Marcos to check them out. Gregg was absolutely right — they’re amazing. 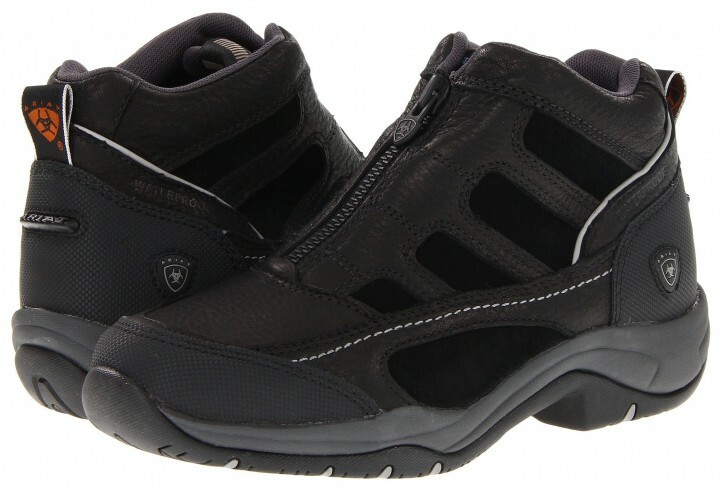 Specifically, he had recommended the Skechers GoWalk 3. After spending some time in them at the store, I was convinced and bought two pair… one slip-on (model #53980) and one laced (model #53989). The slip-ons are perfect for travel days, going through airport security lines where you still have to remove your shoes, and for the evening hours. The lace-ups are for days at the show. 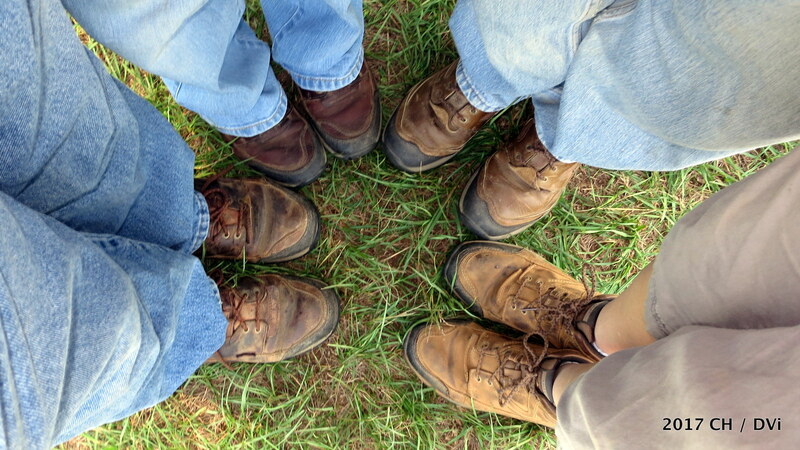 I find them to be just as comfortable, if not more so, than my favorite Ariat Terrains. Plus, they take up much less room in the suitcase and they’re also significantly less expensive. 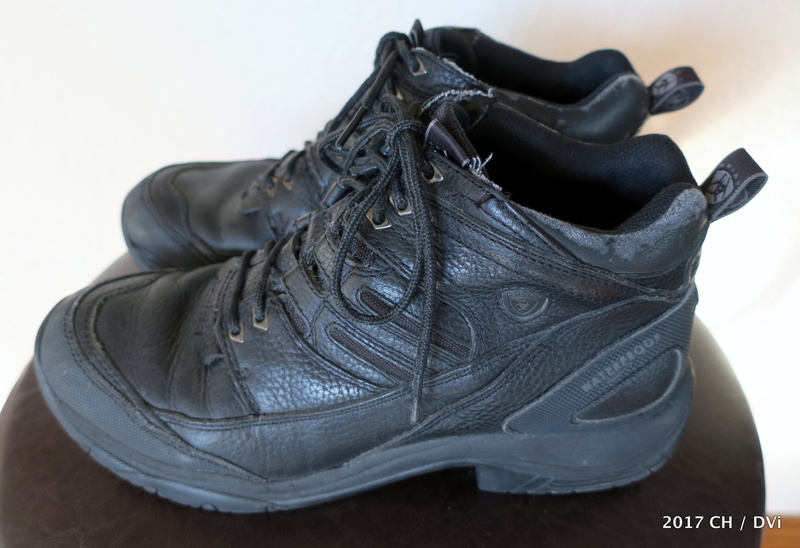 I wound up with two pair of Skechers GoWalk 3… lace-ups for wearing to, from and during the show, and slip-ons for evening activities and airport travel days. I believe the current version for 2017 is now the GoWalk 4. Footwear comfort is of course a highly subjective thing, and there’s no one single model of shoe that will be right for everybody. But just as Gregg persuaded me, I’m here to tell you that if you don’t already own some NAB-ready shoes, you should consider finding a Skechers store in your area and trying on a pair or two. You might become converted over to them like I was. One final tip about footwear, though… if you choose to buy a new pair of shoes for walking the show floor at NAB, just be sure to break them in thoroughly at least a week in advance! Seemingly a mundane topic considering the technical matters normally covered on this site, the fact is that you can’t do NAB comfortably without great shoes. And you’ll need equally terrific socks to go with them. Yes, I’d like to talk to you about socks. I’ve found the perfect socks with which to tackle the grueling NAB walkabout marathon. You know how important good socks are, right? When I’m out on the road, at NAB or elsewhere, I like to keep things as simple as possible regarding the wardrobe. When it comes to packing socks in a suitcase, I want them all the same so that I don’t have to worry about matching pairs (honestly, the less I have to think about, the better). So I pick one brand, all pairs alike, two pair per show day, for a total of ten or twelve pairs of socks. I buy them new right before the show. That’s how much of an NAB geek I have become. Look, you’ve got to get new socks sooner or later. I buy mine in April, that’s all. My preferred brand? They’re gold… that is, Gold Toe. Brand new Gold Toe socks are the other component in my NAB comfort quotient. Gold Toe have been around for quite awhile. They have a factory outlet store where I live, but you can find them online as well. 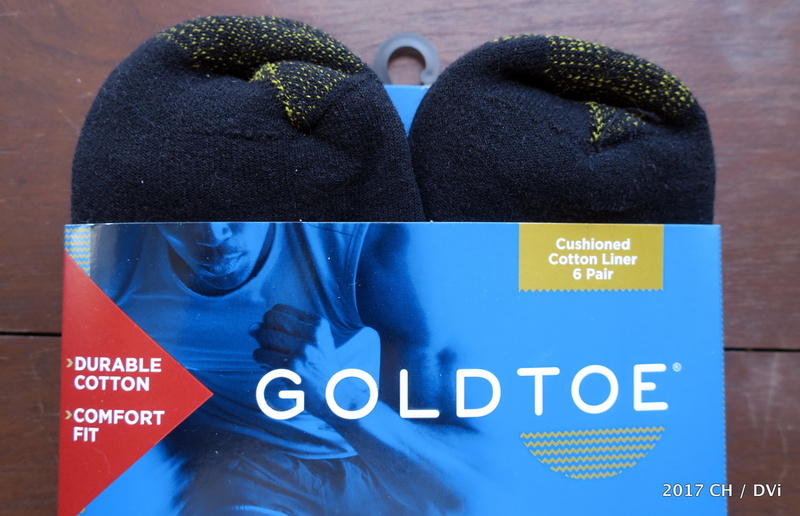 I like their microfiber cushioned crews in business black, but Gold Toe produces a variety of lengths and hues — including quite a range of argyles, if you feel like channeling Bert Cooper — so whatever shade of Skechers you may happen choose, there’s a Gold Toe color to go with them. Maybe it’s just a psychological thing, but during this big week, changing socks and shoes back at the hotel before going out to dinner each night sure makes me feel refreshed and ready to do it all again the next day. “The NAB show floor will eat an attendee’s feet right off their legs.” So take care of yourself, choose your shoes wisely, and avoid most of the discomfort that several miles of walking each day might invite. If you can prevent your dogs from barking, you’ll be able to better enjoy the show, focus on the networking opportunities and the new gear you came to see, and have a much more productive time at NAB. 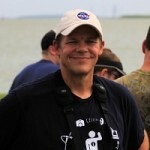 Texans wearing Terrains. That’s me on the left, my wife on the right and two horseback riding friends in between. Oh yes, those Ariat Terrains? I still wear them at home, constantly. They’re great shoes, and you don’t have to be an equestrian type to fall in love with ’em. And if we run into each other at NAB, I’ll probably ask how the show is going for you, and what kind of footgear you’re wearing. Because NAB is all about the shoes! The exhibits floor of the National Association of Broadcasters NAB Show 2017 will be open in Las Vegas, NV from 24 to 28 April. Go to www.nabshow for more info from the official NAB website.